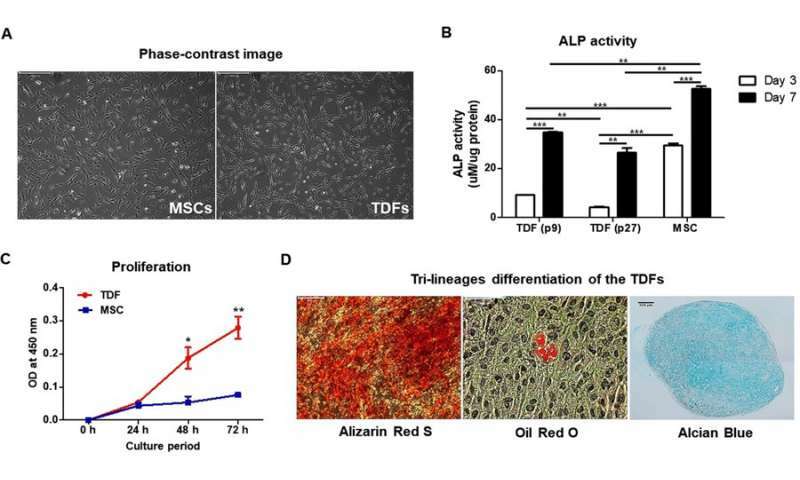 The study cleverly exploited the gold standard of pluripotent stem cell analysis to generate teratoma-derived fibroblasts (TDFs) that differentiated into bone tissue. 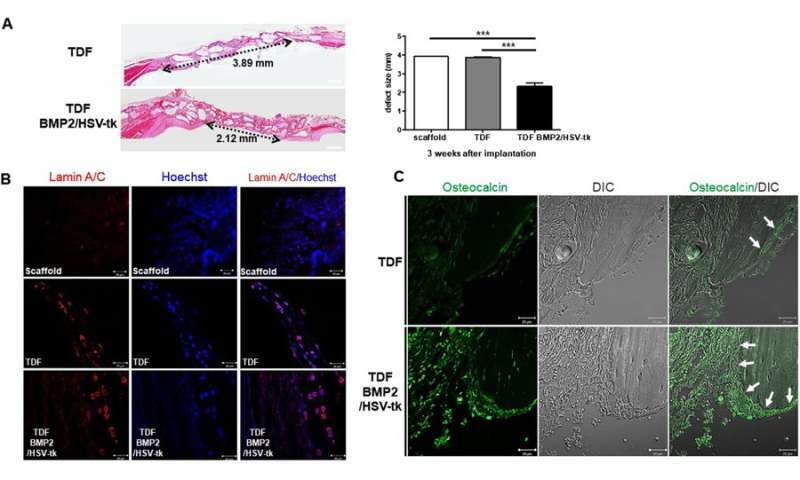 Such TDFs can be engineered from the patient's own cells to form patient-specific osteoblasts for transplantation. 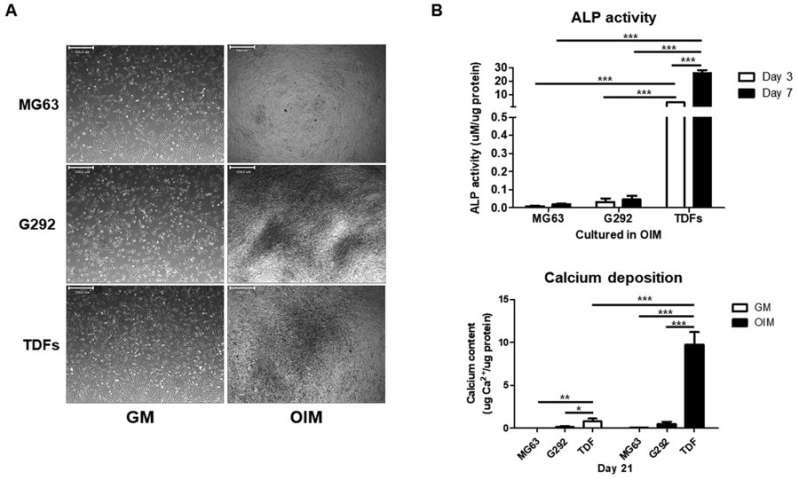 The authors ultimately intend to generate safe and functional cell lines for therapy in bone research. Immortalized osteoblast cell lines can be used to test new drugs in preclinical models for orthopedic applications. 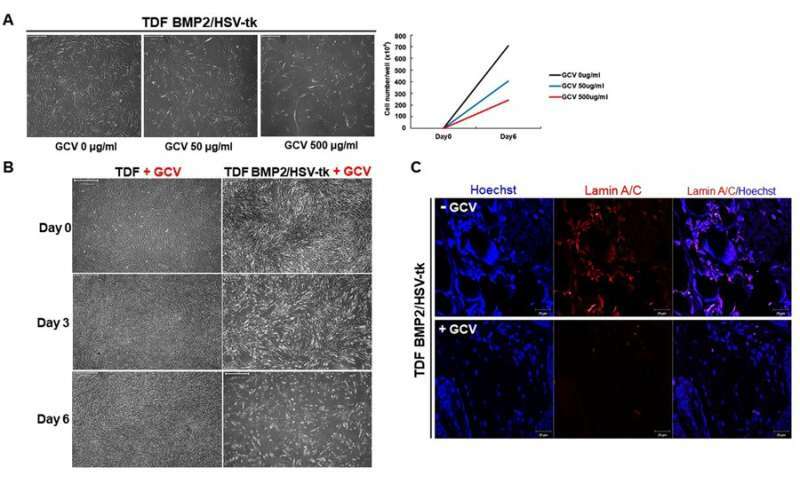 The authors incorporated HSV-tk as a suicide gene to eliminate unexpected cancerous proliferation of the engineered cell line, which, when triggered by GCV treatment, led to programmed cell death. The cell line has great potential as an unlimited cell source that genetically matches the patient to differentiate and regenerate bone for immunologically safe clinical translation.